I wanted to wish all my faithful readers who celebrate an early Happy Christmas. I hope you all enjoy some time with your family & friends in good health, enjoying delicious food, and receiving presents that you actually wanted. Here's a wicked little recipe that's not only packed full of healthy and delicious holiday ingredients it's bloody impressive when you serve it. With all the holiday temptations popping up around us here's a heart smart and festive hors d'oeuvre that will keep you feeling satisfied this holiday season. By adding some healthy choices to the festivities it will definitely help balance out the bad and keep you on goal ready for the new year. For a list of some of the health benefits please check out the full post I did for Twenty Toes Fitness (Blog). This app is inspired by one of my favorite French Canadian superstar chefs Ricardo Larrivée. PREP #1: Chop onions, mince garlic, chop herbs. 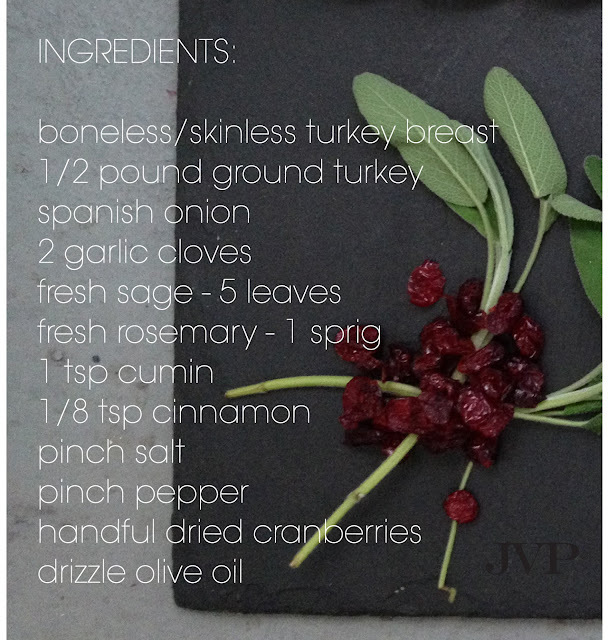 Cover the turkey breast in plastic wrap and pound with a rolling pin or back of a pan until moderately flat. Season with salt and pepper on each side. COOK #1: Saute onions and garlic in olive oil until golden, season with salt, add spices and herbs and continue to cook for one minute. Place off to the side and allow everything to cool before combining with cranberries and ground turkey. Pre heat oven to 350 degrees. PREP #2: Place seasoned flattened turkey breast on a piece of tin foil, then add small handfuls of the ground turkey filling to create a log shape. Tightly roll the breast around the filling, then roll the tin foil around everything like a candy would be wrapped. You may want to double layer the tin foil to ensure it doesn't break. COOK #2: Place rolls on a parchment lined baking sheet and bake for 30-45 minutes. Use a thermometer to check the internal temperature you are looking for it to read 74°C (166°F). Allow to cool for 10 minutes or so before unwrapping and slicing (about 1/4 of an inch). SERVE: Warm or room temp with a dijon horseradish dip (equal parts of each plus a spoonful of greek yogurt in the mix as well). If you wan to make these ahead of time refrigerate the roll whole, let it sit at room temp for 10 -15 minutes before slicing (serve within three days). Have a delicious Christmas! xo Jaime aka The Tomato Snob! So here's the deliciousness that went down a few days ago. 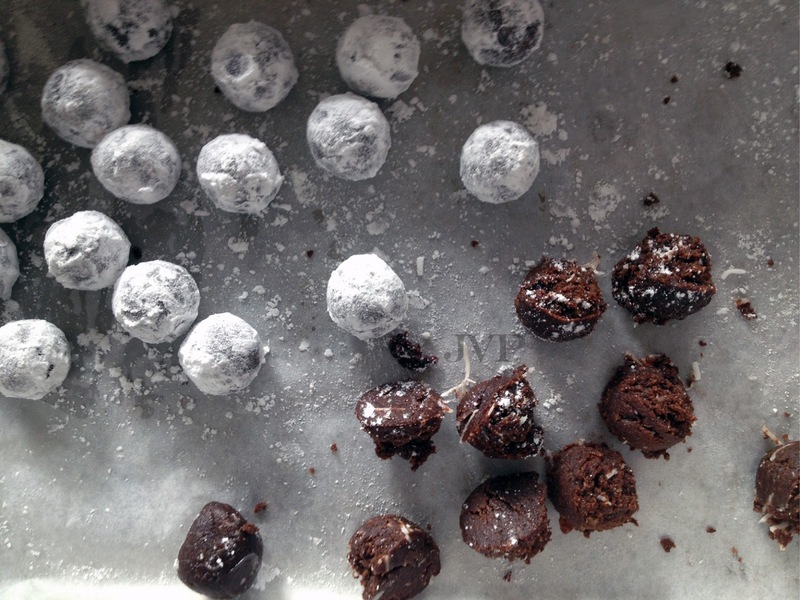 I believe this is my first blog post about raw vegan desserts. Really, I just got up to eat one mid blog- not kidding! Just that good! The perfect amount of sweet, they are super satisfying, healthy, oh right...and they're vegan, if you're into that sort of thing. No official recipe, but here's what I did. Made coconut butter - pulverised shredded unsweetened coconut in my Cuisinart (about 2.5 cups for about 10 minutes. Softened 1 cup of chopped, pitted dates in a 1/3 cup of hot water, heat until they started to fall apart. Add crunchy natural peanut butter (about 1/2 cup, 1 cup raw cocoa, 1/2 cup maple syrup, date paste, 1 tbs cinnamon, 2 tbs vanilla extract, 3 tbs coconut flower. Pulse everything together and check that they are able to hold the shape of a ball, they may or may not need more, coconut flower or moisture -- Sorry I'm sharing this after the first time, it was so wonderful I had to share it right away. Turn out in to a bowl and fold in a handful or two of shredded sweetened coconut. Chill mixture for an hour at least before balling and dust them in powdered sugar. You can do this days in advance or right before serving. 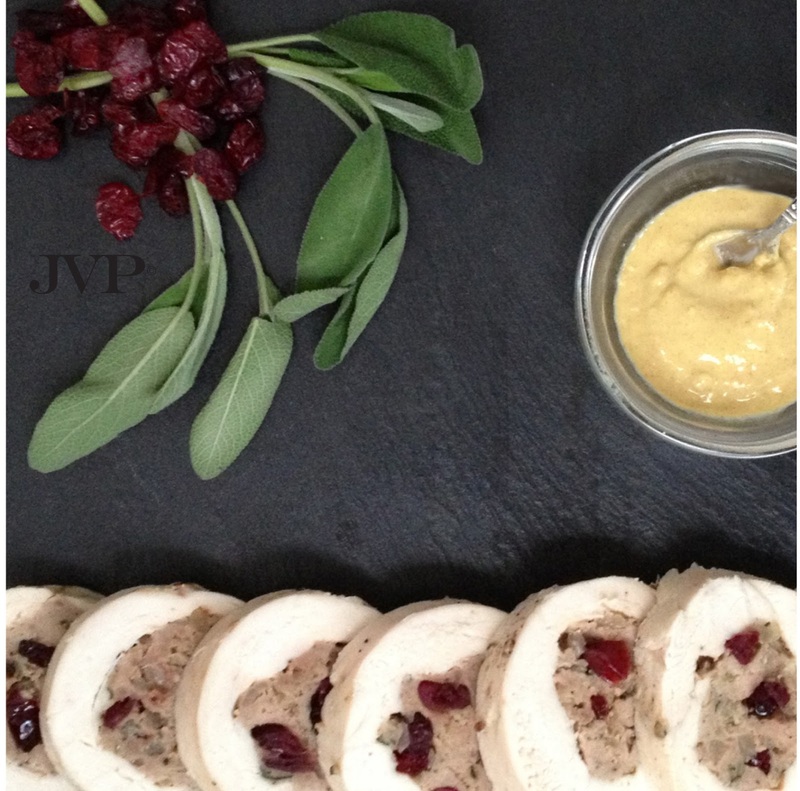 Check out Twenty Toes Fitness BLOG tomorrow for a healthy - and meaty holiday app with my all time favorite holiday proteins, the mighty bird Turkey. 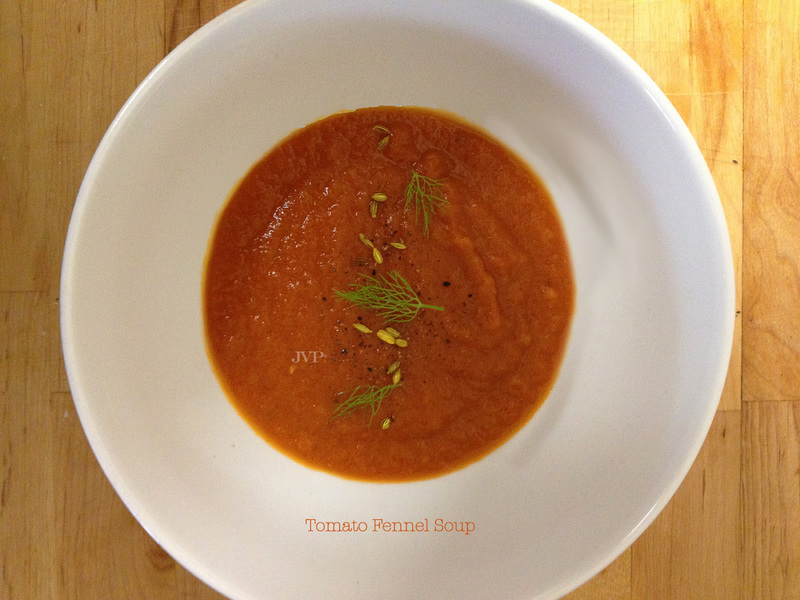 Tomato fennel soup - an elegant take on tomato soup! Good Monday foodies. 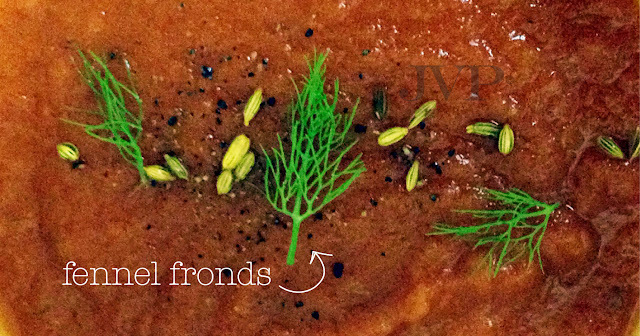 Today I'm going to give you a recipe that's so delicious even tomato soup haters will enjoy it. This is one of my very favorite soups ever. I can't remember the first time I had it but my mom's been making it for years and everyone in my family knows and loves it. 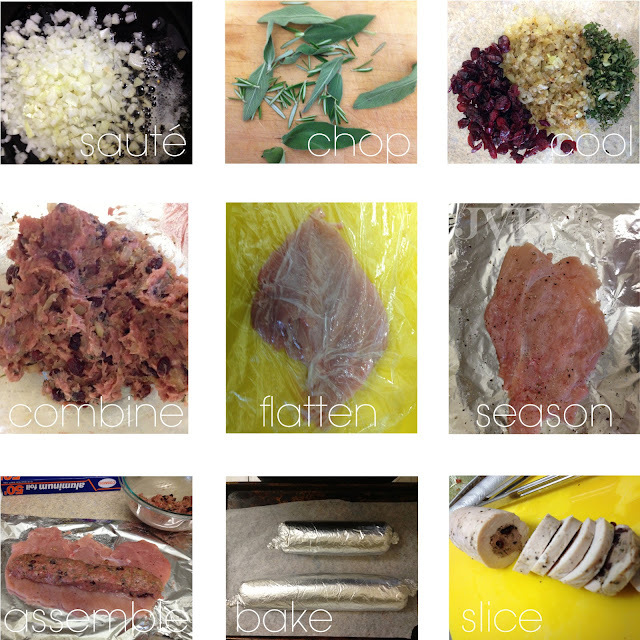 It's so elegant and complex in flavor yet so simple to make. 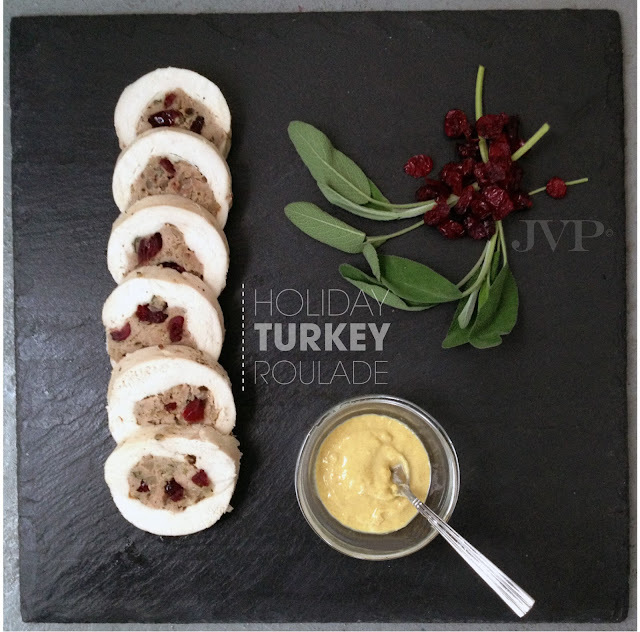 Try it at your next dinner party or better yet holiday celebration. PREP: Remove the green part & root of the leek, fingers & core of the fennel - reserve to make your own veg stock if you are so inclined. Roughly chop all veg. 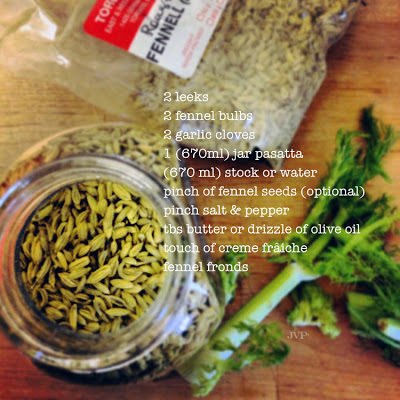 COOK: In a medium pot, saute leeks & garlic until translucent. Season with a pinch of salt & pepper then add fennel + seeds and continue to cook everything on medium until it all starts to caramelize. Add pasatta or a can of crushed tomatoes as well as your desired liquid. Allow everything to cook together for 20 - 30 mins. Remove from the heat and puree. If you want a super luxurious soup stir in a few tbs of crème fraîche or a touch of cream. TIP - Always add dairy components to soups off the direct heat to prevent the milk fats from separating which creates a nasty chalky texture. 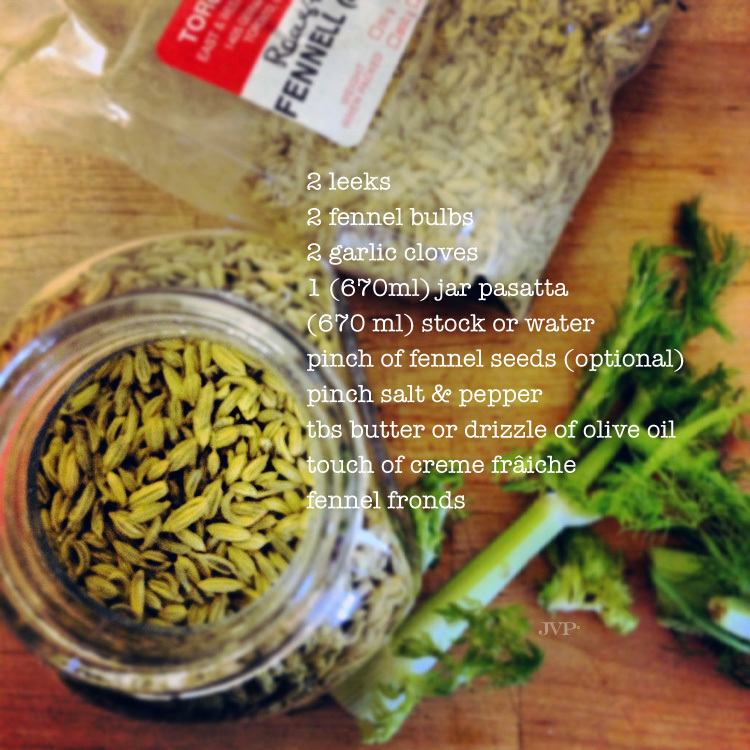 SERVE: With some toasted fennel seeds or a few sprigs of the fennel frond. Instead of stirring in the dairy you can finish with it on top of the soup for a pop of white.